responsible for the initial awakening of their inner collector. kit transformed me from an observer of needlework into a participator in needlework. 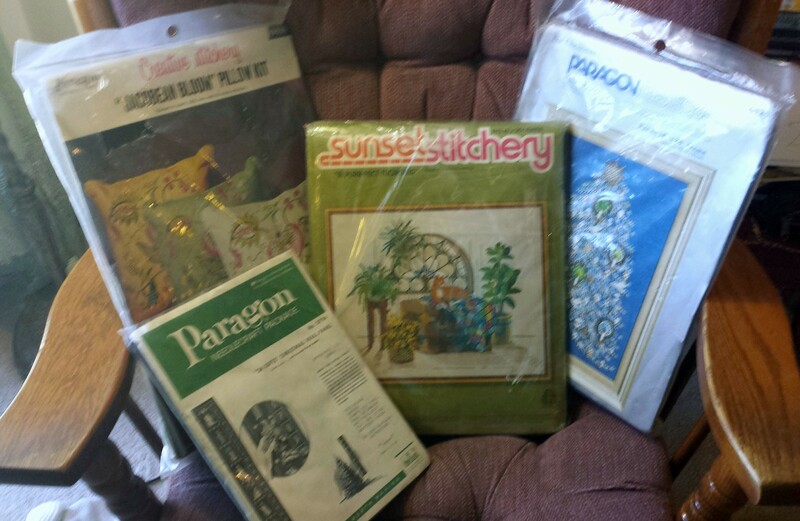 enthusiastic amasser of vintage needlework kits. market or a local garage sale, you can still find gems that won’t make your wallet cringe. know the comfortable price boundary and stick to it. production, there are some names that could indicate current and future monetary value. design and function of this kit? online purchases. Regardless of any perceived standard of terminology, (i.e. exterior damage may indicate that there is also damage to the interior contents. Pay attention to what your nose already knows. Aromas are great story tellers. Know when to say “no.” Even a nicely priced kit is not always a good value. better kit is just around the corner.